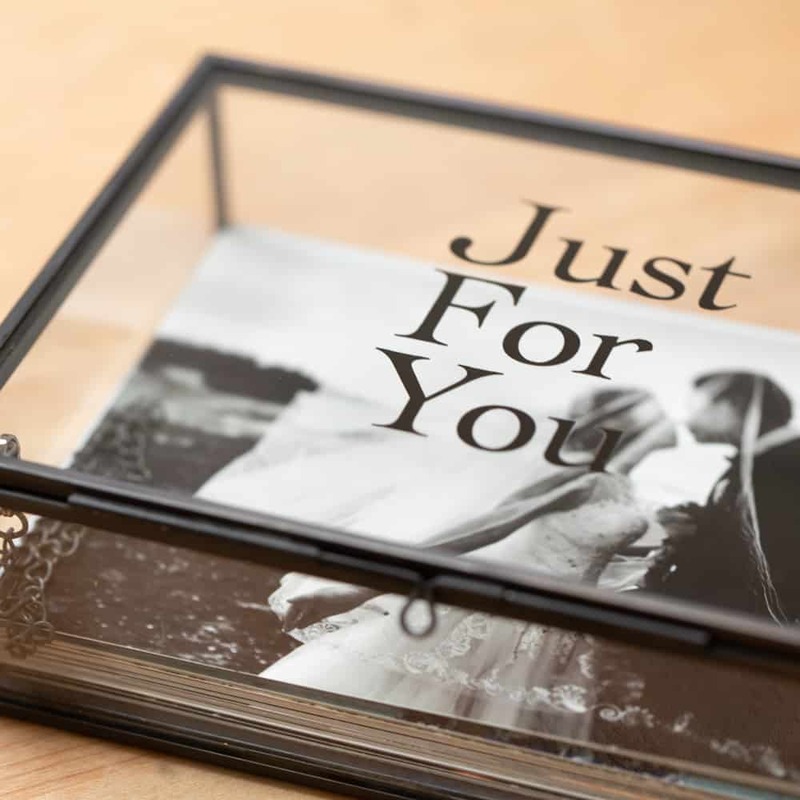 Your clients will cherish their images even more when they receive them in a Glass Photo Box. You’re not just delivering snapshots, you’re delivering special moments from your clients’ lives. 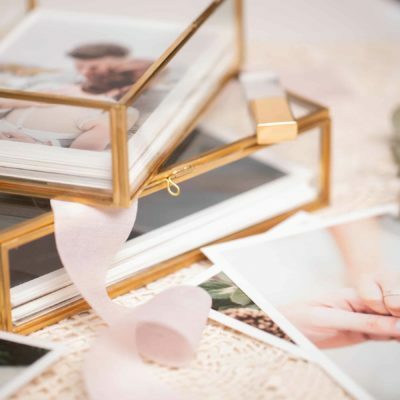 Just as you would never dream of printing their images on a copy machine, you would never dream of delivering their prints in any manner that didn’t instantly impress. 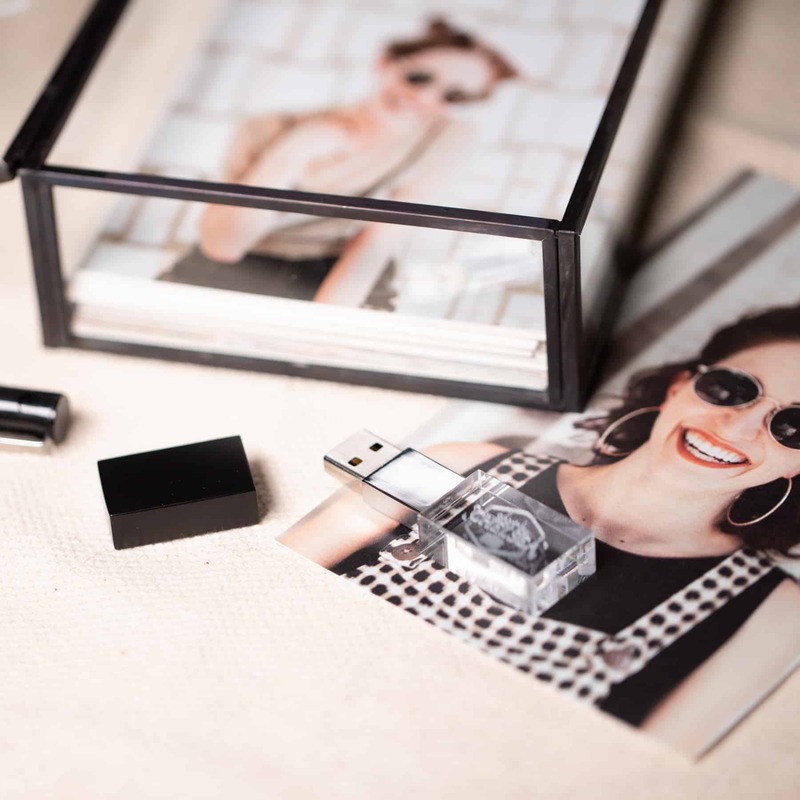 Enter the Glass Photo Box. 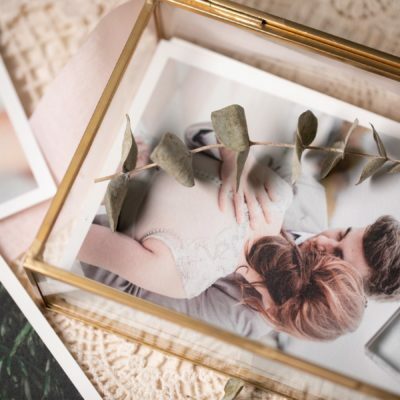 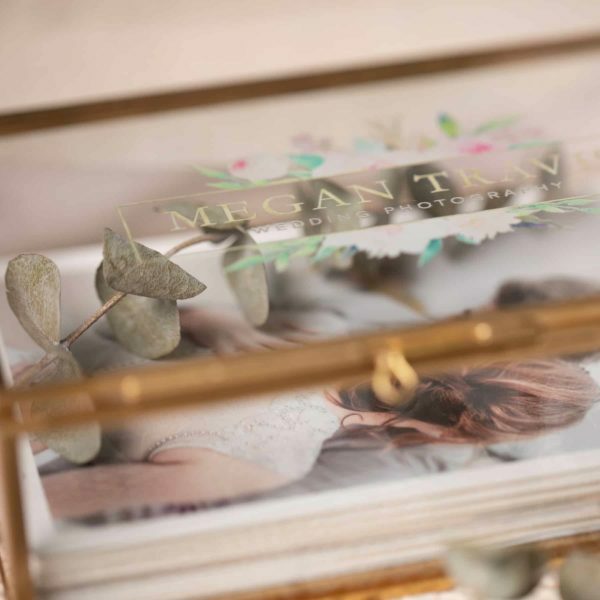 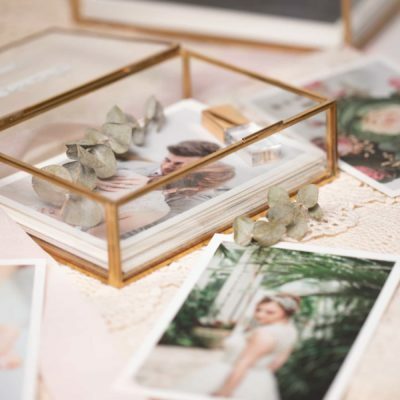 With this sophisticated Glass Photo Box–available in 4×6 and 5×7 sizes–you will immediately set the stage for the recipient being blown away by the moments you captured. 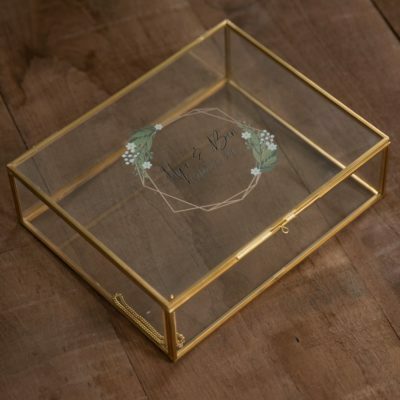 Made of glass and metal, this box is designed to carefully hold up to 125 prints. New colors will add to the importance of matching your brand with gold, rose gold and black available in our 4×6 size and gold available in our 5×7 size. 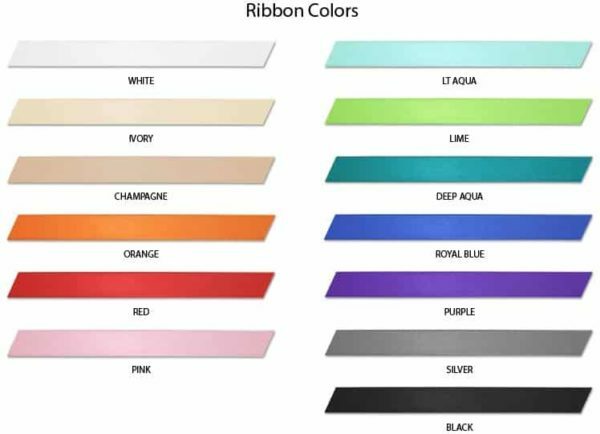 A length of ribbon, which is available in 14 colors, is included so you can bundle your prints in a tidy manner allowing your clients to easily remove the prints from the box. 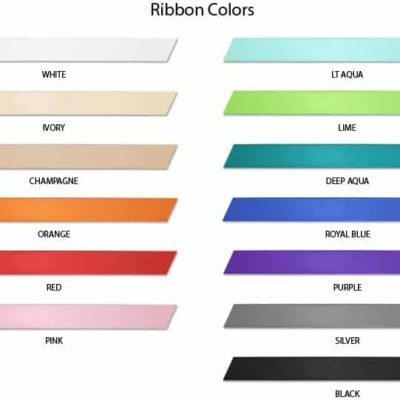 Full color customization is available on the top of the lid. Photo packaging is one of our specialties. 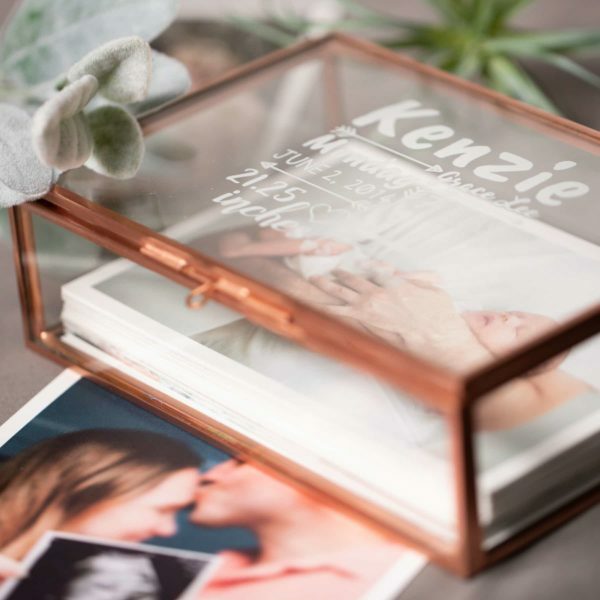 Our Glass Photo Box is sure to impress, as a photographer (or just a gift giver), show off your prints without hesitation. 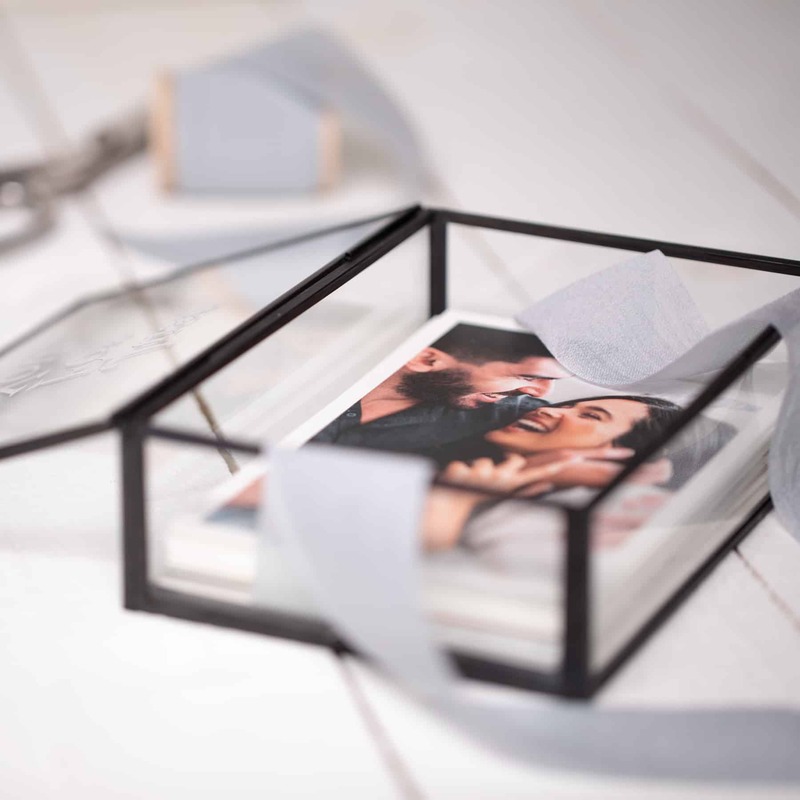 A popular combination is to bundle this box with our Heart Key USB Flash Drive for an elegant print and flash delivery solution. 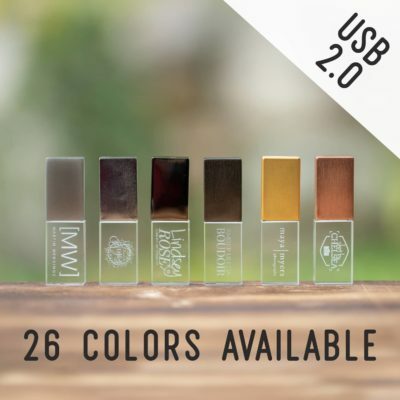 Another popular combo: this box with a customizable Crystal USB Flash Drive with 20 cap color options and sub-surface laser engraving. 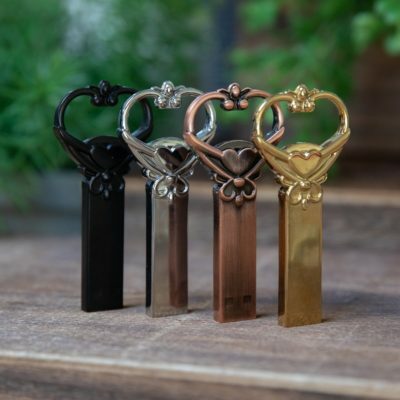 Looking for a larger size? 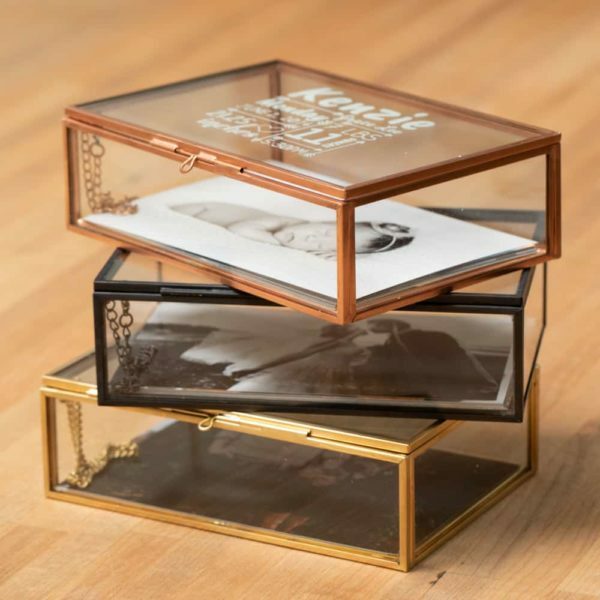 Check out the 8×10 Glass Large Box–it will surely impress!